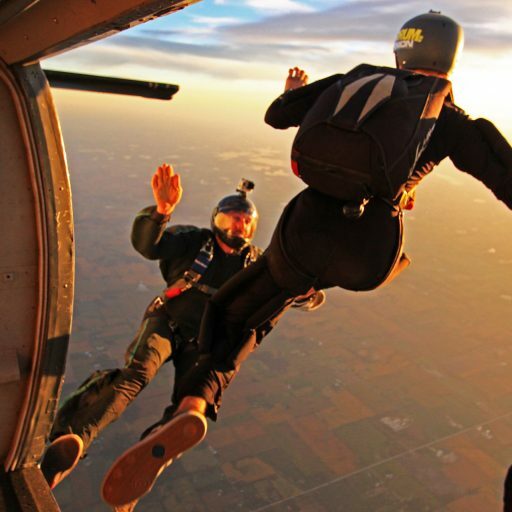 Capture your solo skydiving experience with video and pictures! An experienced videographer can accompany you on any of your student jumps so you can take the ultimate experience home with you! Video and high resolution photos of you going solo, delivered to you online after your jump. The videographer will be very careful not to distract from learning or tasks students are assigned to accomplish during the jump. Video and pictures are great, but a successful student jump is the number one priority! No refunds, must be 18 or older and weigh less than 230lbs to participate in the AFF Program.